The Takahashi FSQ130ED is a highly tuned Super APO optical tube. Using a 5 element design, the FSQ 130 provides a highly color-correct ultra flat-field image with exceptional light transmission. Includes 5" focuser capable of carrying heavy imaging setups. Integrated camera angle adjuster and rotator. 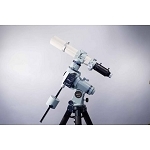 The FSQ series of telescopes were designed with the astro-imager in mind. Featuring a four-element lens system made with superb ED glass, the FSQ produces a virtually flat field across a large image circle. In models other than the FSQ series, the image circle is defined as the circle in which light intensity is 60% or greater. However, because of the outstanding performance of the FSQ series, for these models the image circle is defined as the area where star images are 30 microns or less. In all FSQ telescopes, the light intensity across the image circle is greater than 70%. The FSQ-130ED is the latest addition to Takahash FSQ line. The FSQ-130ED is a fusion of features from the TOA and FSQ series. The front elements mimic the TOA series, with three elements of ED glass that almost eliminate axial chromatic aberration and spherical aberration. The rear elements come from the FSQ-106 design, thus eliminating astigmatism and chromatic aberration. Through its design, the amount of light reduction across the image circle is minimal. Out to about 44 mm, the light intensity remains 97%. Out to 64 mm, light intensity is still a remarkable 92%. Even out to 110-mm, the light intensity is above 78%. 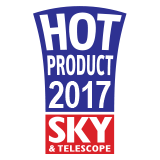 This light intensity reduces vignetting and keeps stars across the field pin-point. At prime focus the FSQ-130ED produces a 110-mm image circle with an extremely flat field. The FSQ-130ED has a 130-mm aperture in an f/5, 650 mm telescope. The FSQ-130ED features a retractable dew shield, a 360-degree camera angle adjuster, and a heavy duty, 4-inch rack and pinion focuser. The focuser comes standard with a 7:1 fine focuser reduction. The draw tube features two racks, allowing heavy imaging trains to be used without flexure of the focusing mechanism. The FSQ-130ED can be coupled with several reducers and extenders, including the F/3 Reducer 0.6X and the 645 super reducer. Staying true to Takahashi's legendary and supreme optical designs, the FSQ130ED products a perfectly flat-field. By utilizing a five element design which incorporates 3 ED elements made from premium optical glass, color, brightness and contrast are at its best. When used at prime focus, you'll enjoy a 110mm image circle with pinpoint sharp stars from edge to edge with 92% illumination. The Takahashi FSQ130ED is the ultimate astrograph. A quintuplet super-low dispersion optical design which uses specialized anti-reflection coatings to transmit the the maximum light to your camera sensor. It's also the perfect image travelling companion! At only 22" long and very lightweight, it is easily supported by a medium-duty mount. 175mm of back focus allow for easy adaptation of long focus imaging set-ups. 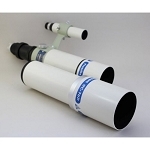 Included with the FSQ 130 APO optical tube is a 5" focuser capable of heavy-duty work loads. Your heavyweight imaging set up is in safe hands. Integrated is a camera angle adjuster and rotator for optimal camera sensor placement. Takahashi has designed a new dedicated 645 format reducer for the FSQ-130ED that produces a 70mm diameter image circle with very small stars 5.0 micron at the edge of an 64mm circle. The Takahashi RD-QR .73x can be used with the FSQ-130 and will produce color rich images across a flat field and a 44mm image circle. 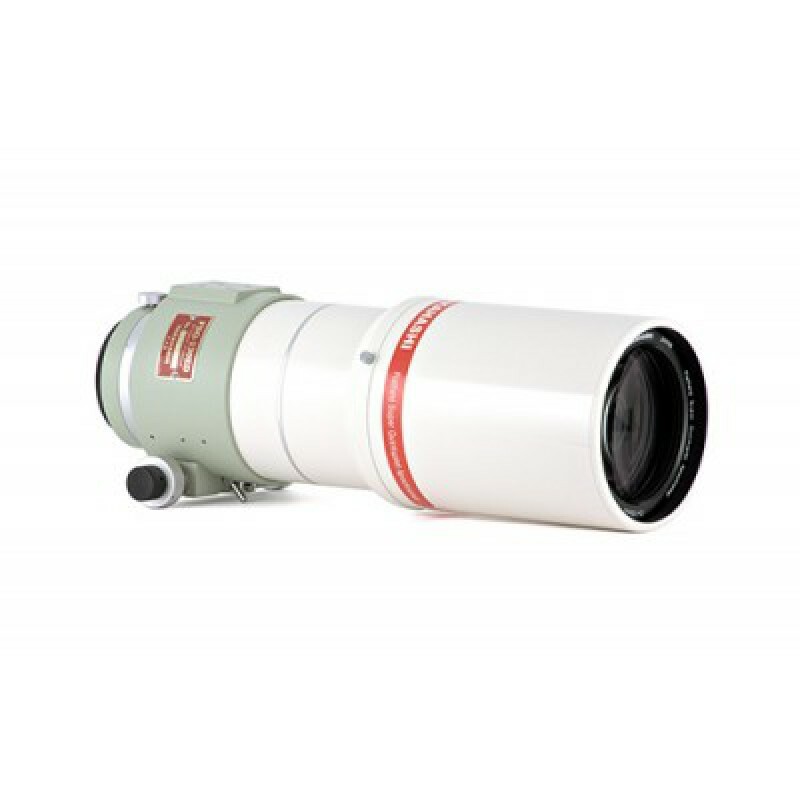 The Extender-ED when used with the 130 offers larger image scale for smaller objects at 982mm. The EXQ-1.6x is well suited to be used with the FSQ-130 for greater image scale. Stars produced by the EXQ are small.